The 2018 summer of football is just around the corner and the spirits manufacturer DIAGEO is already preparing for the sporting highlight at the POS. DIAGEO is supporting the product range for the season’s highlight with special promotions: Captain Morgan is beginning a brand cooperation with Pringles and shoppers who buy a bottle of Johnnie Walker Red Label will be given a free glass tumbler. The promotion is complemented by the practical 3+1 pack with a free can with Johnnie Walker & Coke, Captain Morgan & Coke and Gordon’s Tonic. In stores the desired attention is grabbed by an attractive group presentation with an array of displays in black-red-gold design and a stadium-style superstructure to spark football fever. 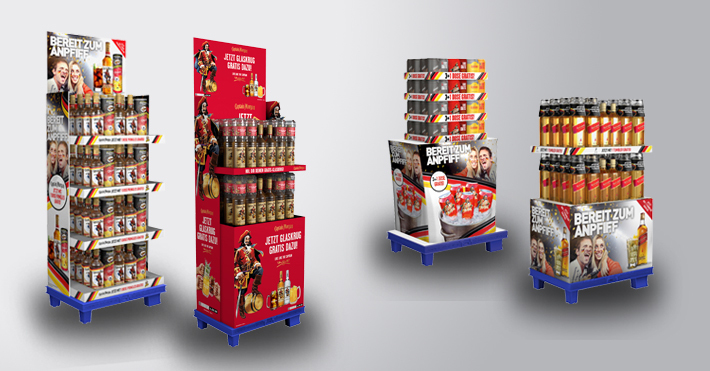 The eye-catching cardboard sales displays are also ideal for placing individually in small sales spaces. 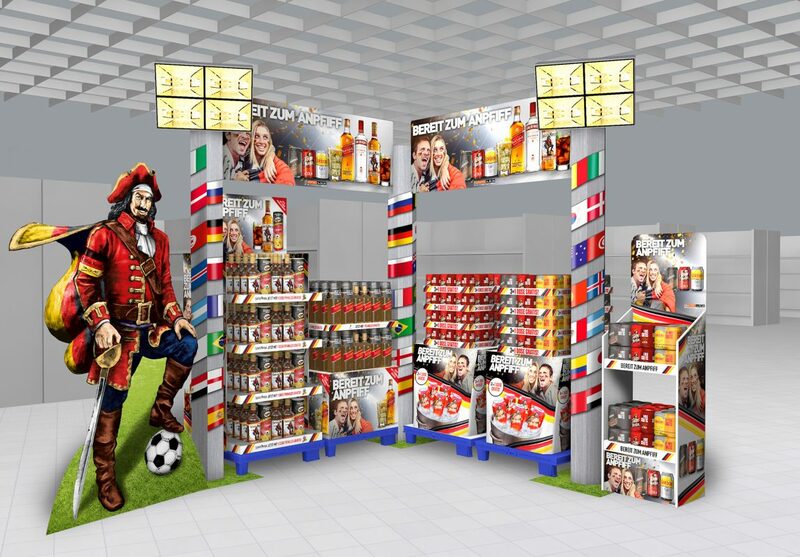 DIAGEO utilises emotional secondary placements from Gissler & Pass GmbH: stadium superstructure and ¼ Chep displays in World Cup design.